67% off the retail price of 34.99! 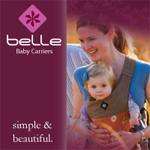 The Wet Tote is a premium dual layer version of our original Disney I Parenting award winning design. It features a waterproof inner layer of vcare fabric plus a second outer layer with our own original designer prints. Its versatile and compact. 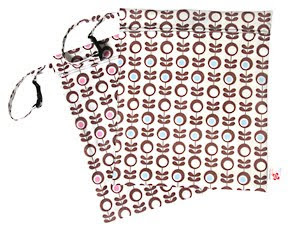 Made from durable, waterproof fabric, Smitten Baby Wet Totes are ideal for storing wet items such as damp wash cloths or soiled items such as cloth diapers. It’s a great way to keep everything else in your bag or carrying case clean and dry. 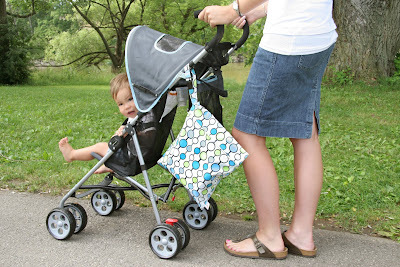 With our handy strap you can easily attach your Wet Tote directly to your stroller. 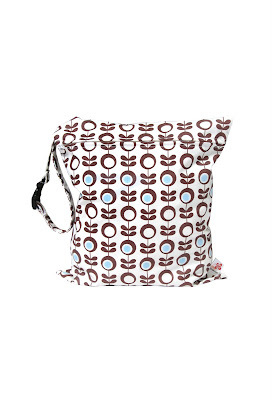 The Wet Tote comes in size Large (12 x 16) and features a dual layer of Vcare fabric. The inside layer is unprinted and the exterior layer offers you a choice of fashionable prints.